Typo: I think you meant $5.98 not $5.48. Very annoying when signs are wrong – I suspect it’s a blunder rather than deliberate mistake. 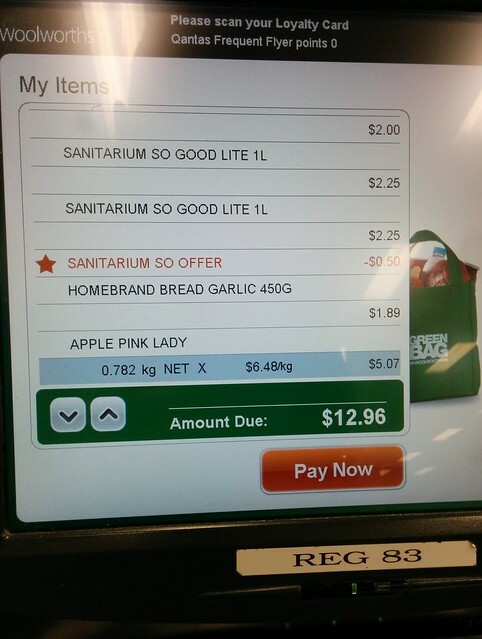 Aldi’s pink ladies have gone up to $4.98 kg now, but still undercut Coles and Woolies. Pink Ladies at Woolworths and Coles seem to vary… about $6 is probably typical, but sometimes you’ll see them at about $4, perhaps when they’re overstocked. Likewise bananas can vary widely between about $2.50 and $4.50, with W+C tending to be consistently above $3, and Aldi a bit cheaper. (b) the supply takes place for a price that is not the lower, or lowest, of the displayed prices. So to answer your question, yes, you were ripped off! Also don’t forget that if an item scans a different price to what was tagged you get the item free. Coles is better with shelf fresh food pricing but not perfect either. We put through up to $100 worth of groceries at the self serve quite efficiently, but really, it would be better packed if we took it through the checkout. It just depends how busy the checkouts and self serve are as to what we do, and shallowly, how attractive and friendly the person on the check out might be. The other misleading label I have noticed recently at Coles supermarket is the ‘everyday’ lower price sticker. I have questioned why Coles use a red label, when a red label usually indicates a sale. But the white labelled price underneath is the same. It is not a special. 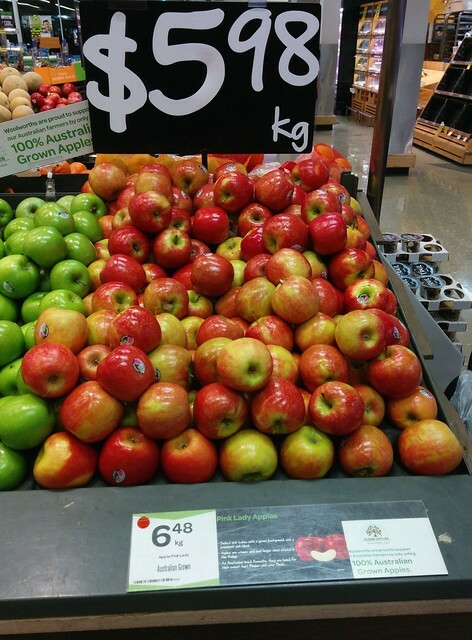 Yep, Aldi has pink lady apples for $3.99 kg this weekend.